South Korean automaker updates its flagship. The 2020 Hyundai Sonata has lifted some cues from several recent concepts, including the Le Fil Rouge. 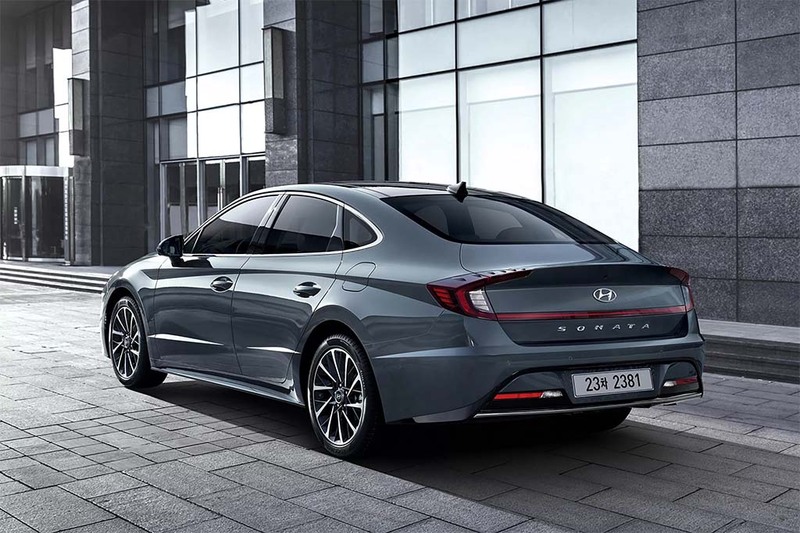 Every so often, traveling down the highway, you’ll run across an old Hyundai Sonata and realize just how dramatically the Korean carmaker has changed its approach to styling over the course of barely a decade. Get ready for another surprise as Hyundai prepares to roll out an all-new version of its flagship sedan at the upcoming New York Auto Show. Lower, wider, sportier and decidedly more upscale in appearance, it just might give pause to some of the folks who’ve been thinking about migrating to one of the company’s new SUVs. The Sonata new "hidden" running lights look like chrome strips when they're not turned on. 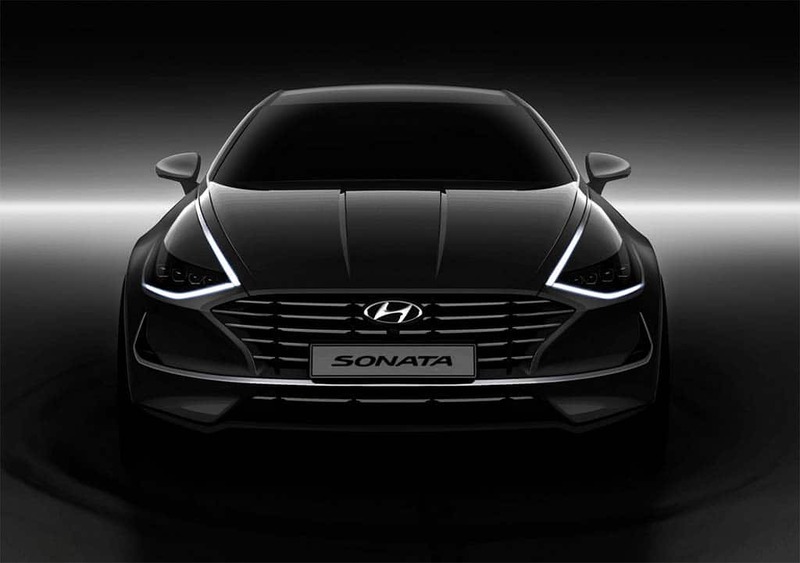 That, and the term, the Digital Pulse Cascading Grille, that Hyundai has adopted for the nose of the new Sonata might get you to giggle a bit. But whatever name you might prefer, it’s clear that Hyundai was serious about upgrading the current model. Perhaps the most significant visual detail debuting on the 2020 Sonata comes in the form of the LED running lights that merge into a strip that, in turn, frames the length of the hood. The running lights are actually all but invisible when turned off, as they hide beneath what otherwise appears to be just another strip of chrome. We got a first look at the lighting concept from the Hyundai HDC-2 concept shown last year in Korea. The roofline is now even more coupe-like than before. 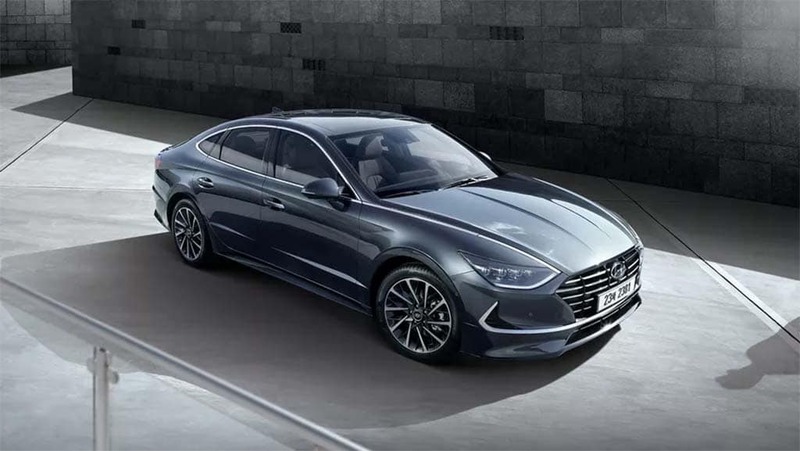 But it looks like Hyundai designers have been careful to stretch the roof further back into the rear deck to avoid sacrificing too much back seat headroom – a real problem for many coupes and coupe-like sedans. The new Sonata is longer, lower, wider and decidedly more upscale in appearance. If there’s a subtle sense of déjà vu, go back and check out the Hyundai Le Fil Rouge concept that Hyundai brought to the 2018 Geneva Motor Show. You’ll see a number of critical similarities, though the production Sonata clearly doesn’t push things quite so far to the extreme. In terms of dimensions, the new Sonata sits 30 mm, or 1.2 inches, lower while its width grows 25 mm, or almost precisely an inch. Its wheelbase is enlarged by 35 mm, and its whole length by 45 mm, or 1.4 inches and 1.8 inches, respectively. 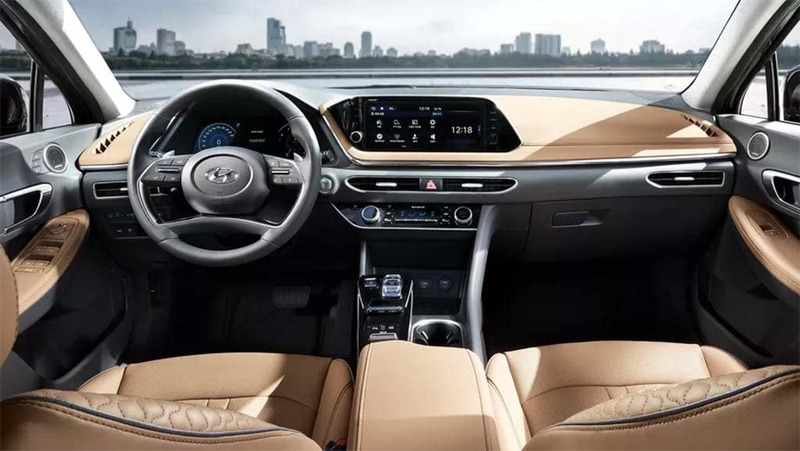 Inside, the 2020 Hyundai Sonata adopts a much more upscale feel, almost looking like it could have been borrowed from sibling brand Genesis. One of the teaser images – clearly revealing a top-line model – appears to adopt a perforated style quilting on the seatbacks. The 2020 Hyundai Sonata cabin. The image appears to show a digital gauge cluster and, meanwhile, the infotainment system seamlessly combines two separate touchscreens. The sedan will get both USB A and C plugs and we’ll look out for both wireless charging and, perhaps, even onboard WiFi when it debuts in the Big Apple in April. 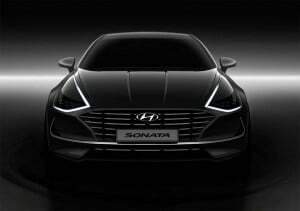 The other question is whether the Sonata will be the first new model to be equipped with the smartphone-based Digital Key Hyundai announced this week. It promises to reveal more details about that feature at the NY Auto Show, as well. This entry was posted on Wednesday, March 6th, 2019 at and is filed under Asia Pacific, Auto Shows, Automakers, Automobiles, Business, China, Europe, Executives, Hyundai, Markets, NAFTA, New York, Personalities, Sales, Sales, Sedans, South America, U.S./North America. You can follow any responses to this entry through the RSS 2.0 feed. Both comments and pings are currently closed.